That looks gorgeous! Perfect gradient. :) Thanks for sharing. 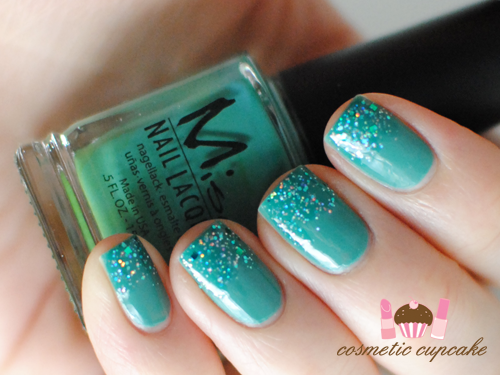 Gorgeous colour, I love the glitter! Acctually love this one! 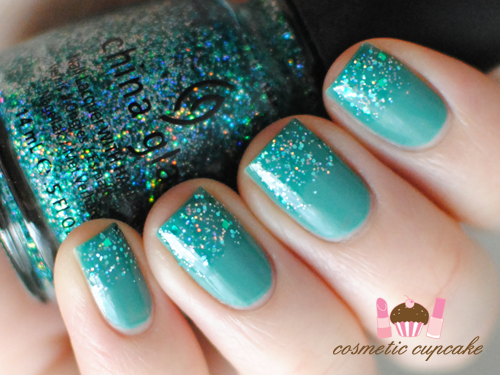 Normally I find glitter manis a bit messy but this looks flawless. che bello e che belle unghie!!!! *__* complimenti! you always have the prettiest nails. Gorgeous. 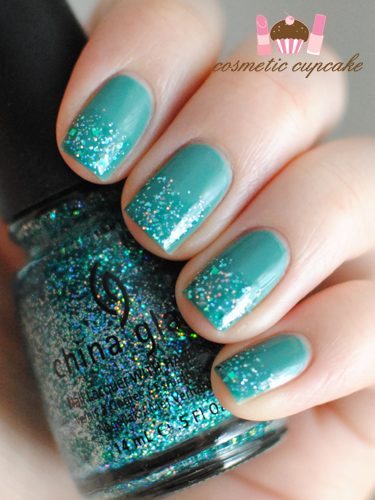 I have turquoise nail varnish like this and glittery polish. I think I need to try this! This looks absolutely gorgeous! Love the shape of your nails too, so neat. Eeeeee I love this Chelle my lovely! So glad you did this too, yay for glitter-y mermaid nails! Haha! That China Glaze glitter is BEAUT!